What is a better way to start a new year then having a Barbeque.. and 4 months old Tilapias are just nice for the picking. 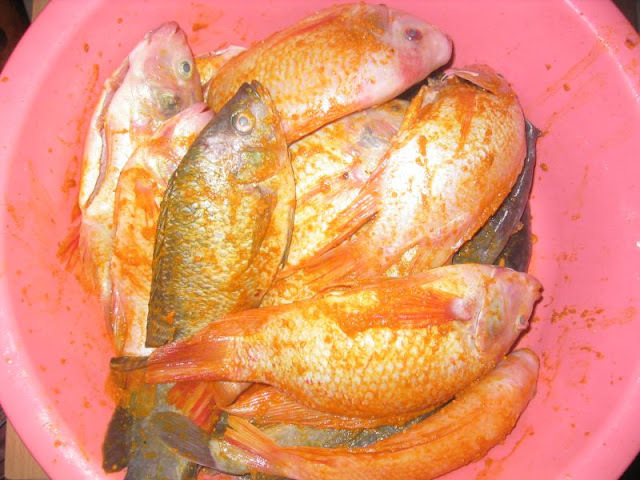 Above, Tilapias ready for the BBQ, all salted and seasoned. 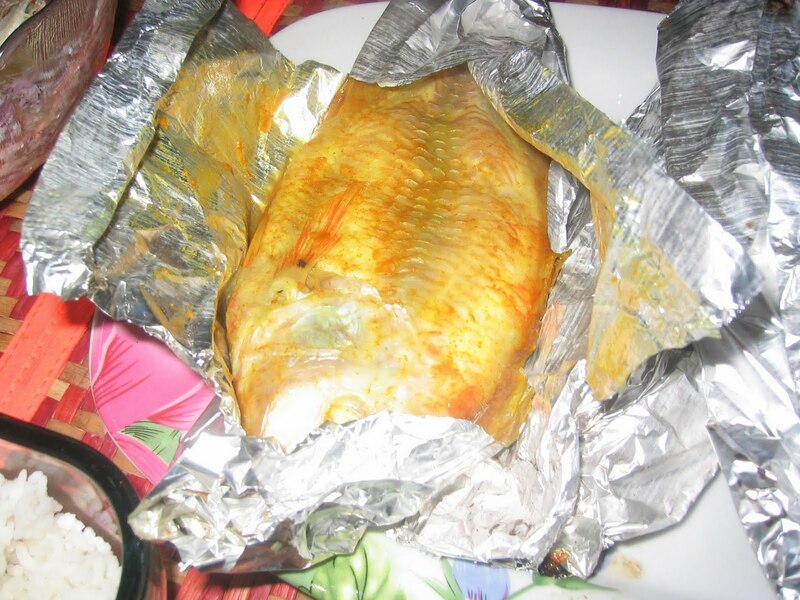 All cooked up, I use Aluminium foil to wrap these Tilapia due to very soft flesh it may not survive on the BBQ by itself.